At Central PA Home Inspections, I provide a full range of home inspection and related services from a pre-purchase home inspection for home buyers; pre-listing inspections for sellers to inspections for contractors, realtors/brokers, property managers, insurance companies, and lending institutions; 1 year (new home) warranty inspections; and much more. 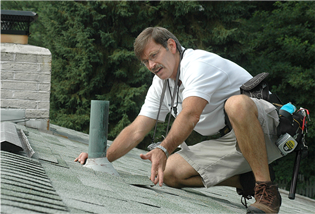 At Central PA Home Inspections, I truly have a responsibility and an ethical obligation to the public and all of my home inspection clients. I believe in a hands on approach. I personally perform every inspection myself and always give the client the utmost personal attention they deserve. That is one benefit that is not always possible with larger multiple inspector firms. I can and will reduce the risk of major or expensive surprises that may happen after ownership. I am proud to serve and provide professional home inspections in South Central Pennsylvania and in the Harrisburg metro and surrounding counties. 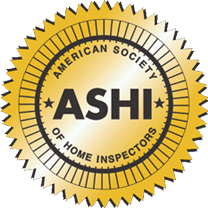 When you need to hire a home inspector in South Central Pennsylvania, hire a Harrisburg home inspector and professional home inspection company who is fully licensed, certified and who will be looking out for your best interest. Great; thanks, Bill! Derrick and I would like to thank you for your time over the past week. You have been very responsive throughout the process and gave the home a thorough inspection. It was a pleasure to work with someone as knowledgeable as yourself. Take care!